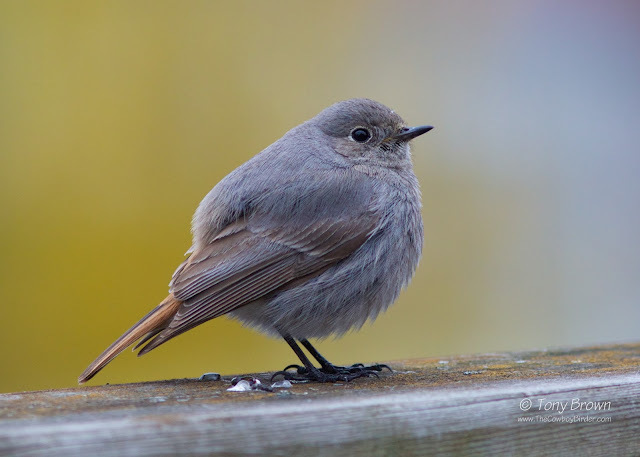 The Cowboy Birder: Black Redstart in my Garden! 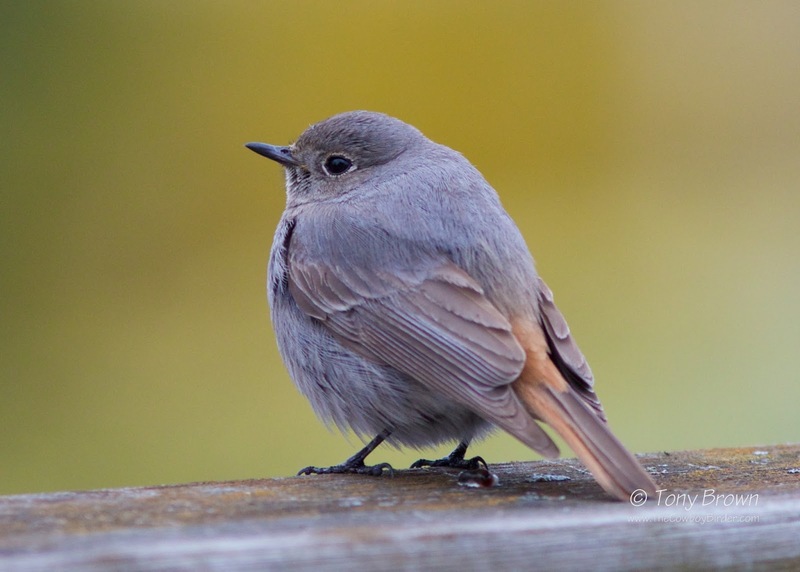 Black Redstart in my Garden! I thought Friday 13th was meant to be unlucky! There I was, bleary eyed and tucking into my usual pre-work bowl of porridge when a bird caught my eye through the patio windows - I thought it was just another one of the local Robins flitting around the garden. The bird flew straight into one of the Birch trees, so I stood up to get a better view through the windows (still carrying the bowl and spooning in mouthfuls of porridge) and then I almost choked on the porridge when this Black Redstart was looking right back at me with that rufous coloured tail gently flicking behind. The camera is never too far away so I grabbed it and fired off a few record shots and was blown away with what I had found in my small north-east London garden. This was by far the best bird I has ever seen in the garden. Until now I've only ever had the usual mix of common garden birds along with odd wintering Blackcap. To put it into some kind of context, in all my years birding the patch at Wanstead I've only ever seen one Black Redstart and this was a similar spring record back in April 2013. To my amazement when I returned home from work the bird was still knocking around and without having to dash to work (as I did this morning) I had more time and managed to get into the garden and creep within just a few feet as it happily posed on my fence, allowing me to get some decent photos of this wonderful little gem of a bird. 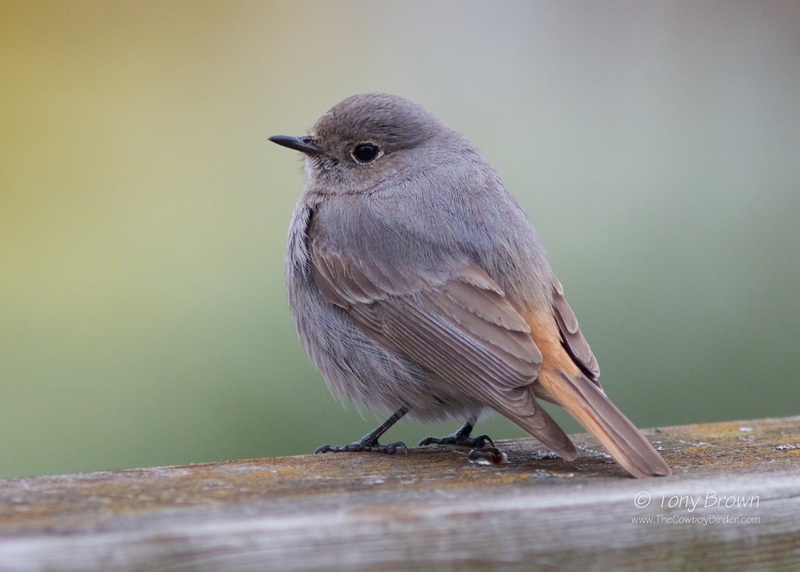 This was right up there with one of the best birding experiences I've ever had, and even now I can't quite believe that my little garden has played host to a magical Black Redstart. Cheers Shaun boy! I still can't quite believe my garden has hosted a Black Red! Awesome pictures - what a great bird to have on the garden! Thanks Arjun - I am very lucky!